"Shop Your Carpets or We can Deliver to Your Doorstep"
We offer a wide range of carpets and underlays, from the more economic, to the really luxurious. We have many different styles of carpets, plain, multi coloured & fleck carpets or carpets with a pattern. You can choose from long to short piled and man made to wool. Moreover our prices stay low all year round. We believe in clear and honest trading, All our pricing is clear and visible. The price you see is the price you pay with no hidden extras or misleading sales. To us it makes much more sense to choose such shop which also deliver carpets at home, and see it where it will be laid. Not only does it mean you, our valued customers doesn't have to waste tons of time looking for the right carpet. 1. You Don't Have To Leave Home .. We Come To You! Wool carpets are well-known for their ease and stability. Wool carpets also have the countless benefits like these are fire retardant and anti-allergy. Wool warranties the pile doesn't become worn or flattened over time and it simply bounces back to look good as new. We have a great range of ornamented, streaky, simple and coarse wool carpets in a range of beautiful colours. The Berber carpet is just what you need to make a stylish but useful appearance in your home. Be pleased of your home with this excellent carpet, available in a range of neutral glooms and classes. We have Berber carpets in every range to suit your home. Twist carpet is the perfect combination of realism and style. The twist pile makes a lovely textured look, which improves extra style and interest to a room, Twist carpets are durable and attractive also feeling great underfoot. Twist carpets are perfect for busy places because these are durable as well as fashionable. Heavy-duty printed carpet, appropriate for areas of heavy wear and tear. Create the great setting for your event or exhibition stand. We deliver all kinds of carpets, such as arrival carpets, expo carpets for one time use as well as washable carpets for long time use. Saxony carpets are made of twisted carpet fibres that stand up straight with a cut loop pile, which is laced very thickly to create a soft carpet fibre and deliver greater comfort underfoot. Saxony carpets are great in both their appearance and luxury. 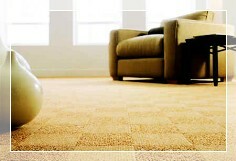 Due to the thick pile and stand up fibre structure, the carpet is extremely contented to walk on. It improves both warmness and luxury making it best for any room. Stripes look perfect on stairs and landing because they make it look longer, making a strong look for when your guests first step through the front door. If the carpet in the hall is a neutral colour like off-white, then going for bright strips makes a great mixture. Black and grey stripes on the stairway look excellent and give your home a fresh look. Altered widths gear up the look and give your home a great presence. Loop pile carpets can give a luxury look to any room of your home. Our carpet range have flat loop and textured loop, these carpets feel soft underfoot and are mainly suitable to use in living rooms due to the extra ease it delivers. 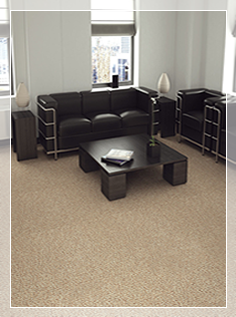 We have a superb range of loop pile carpets to give great look to any room of your home. Polypropylene is one of the best fibres, generally costs are less per square metre and is perfect for kidsâ€™ rooms or playrooms where sticky fingers and flicks are common. Bedroom carpets do not have such regular use and so carpets with more luxurious qualities can be used. Polypropylene Carpets are extremely mark resistant and easy to clean. Can be used for long time periods. Colours of this fibre looks sharp and have extreme fastness. We know how much alteration carpets can make. We are admiring about growing carpets that have the most beautiful colours, designs and qualities to give the output and safety of working people within administrative, commercial, and public buildings. We provide and fit our best class of office carpets. We are also affirming our products are logically liable, safe to use and safe to recycle. We offer contract carpets for offices, hotels, restaurants and pubs, designed to suit you. As we supply loop pile carpets made from wool, blends and polypropylene. We have a massive collection and quality of contract carpets that we have delivered to hotels, schools, offices, restaurants, industries and pubs. We can supply stair nosing's for public areas we can swap the inners only refreshing the appearance of your staircase.